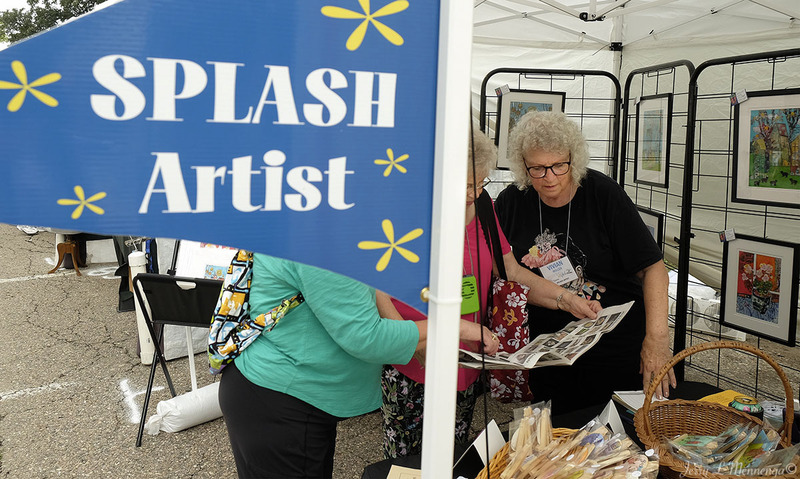 This year is the Sioux City Art Center‘s 20th anniversary of its 2-day festival, Art Splash, where artists from around the nation offer their unique vision for sale to attendees, as well as entertainment and activities for children and families. 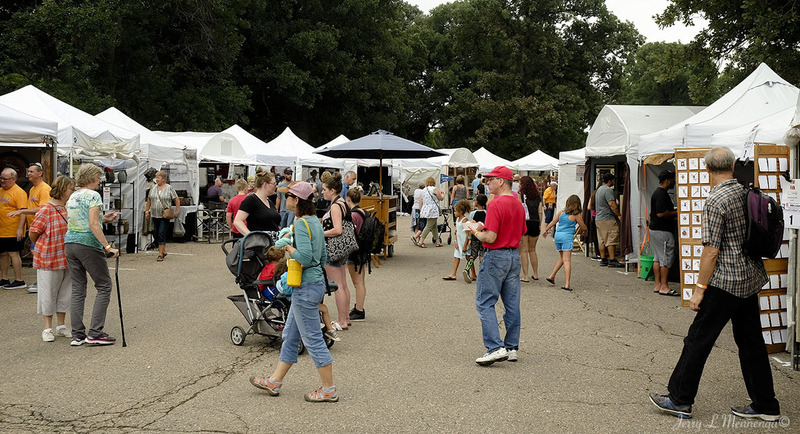 Over 100 artists featuring ceramics, photography, drawing, mixed media, glass, jewelry, fiber, metalworks, wood and painting are in attendance. 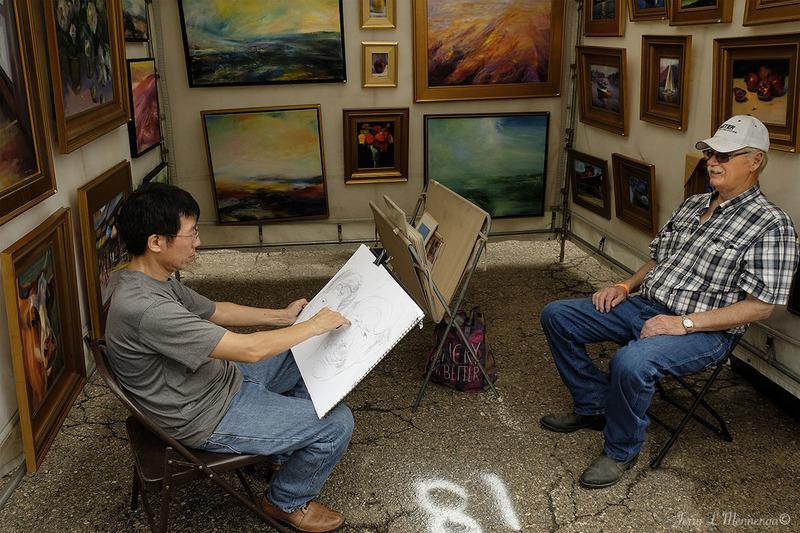 The artists hail from Minnesota, Missouri, Wisconsin, South Dakota, Iowa, South Carolina, Illinois, Texas, Florida and Arizona. 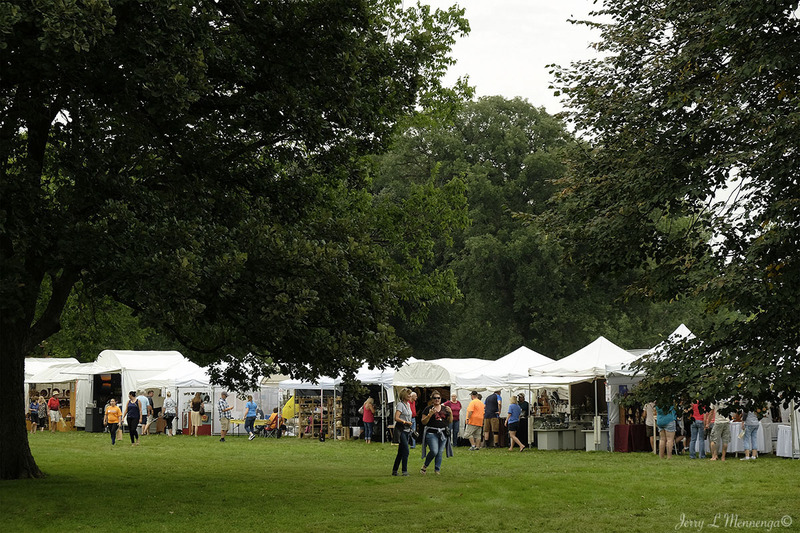 This year the festival was held in a new location, Riverside Park. 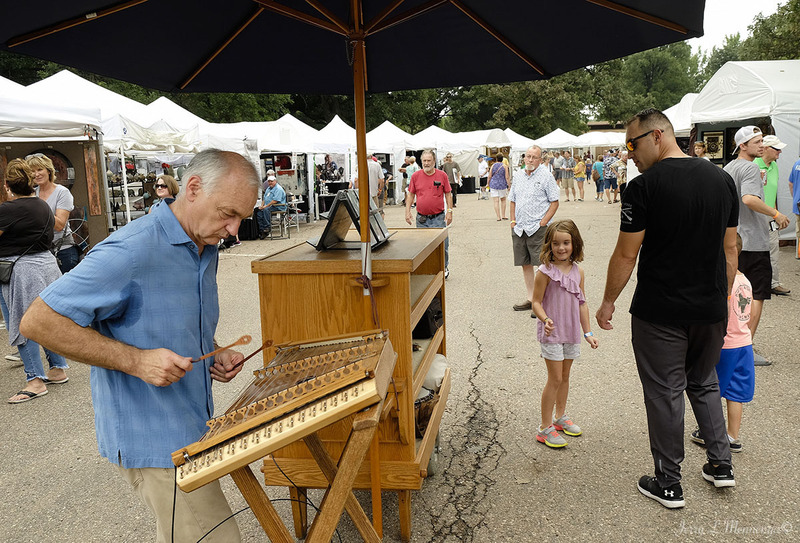 For many years, this festival was located along the city’s riverfront, along the Missouri River. But in 2011 the Missouri flooded, and a new location was needed. 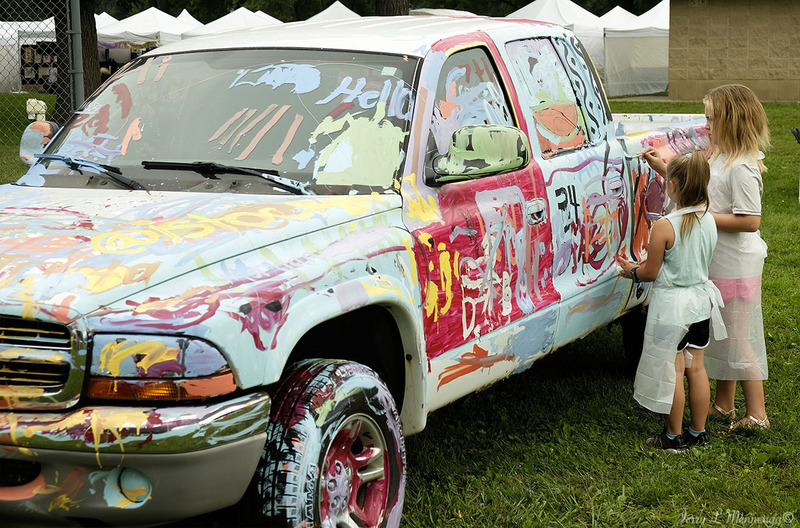 That year and the following year the festival was held in the city’s Grandview Park. 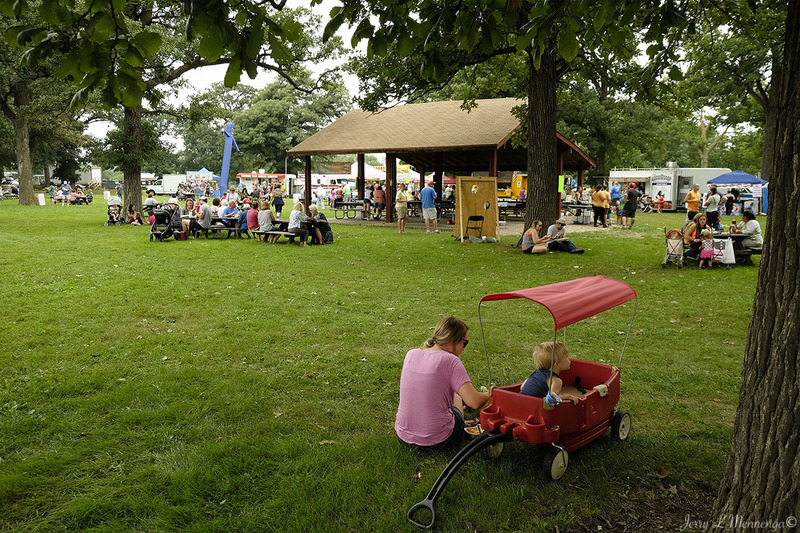 It is a nice park, and where a summer music festival, Saturday in the Park, is held each year. But there are hills in Grandview, and limited parking. So this year, the festival is held at Riverside Park. Flat and shade trees, lots of parking nearby. It seemed like a nice solution, but sometimes the obvious can leave one scratching your head in understanding. 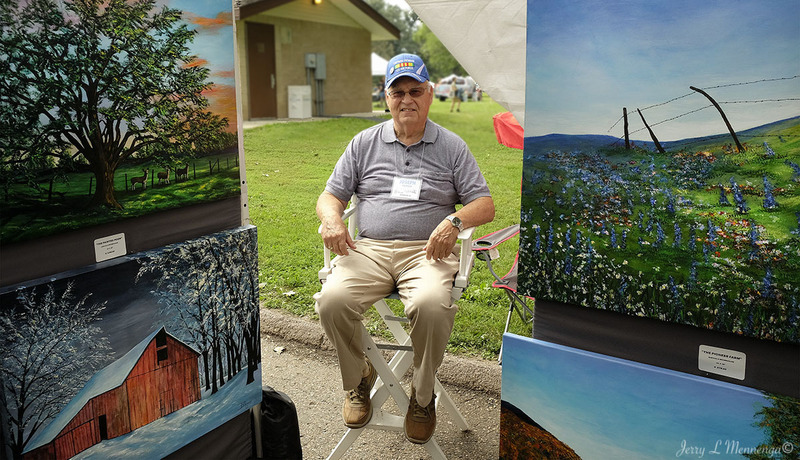 From a few casual conversations with artists and people attending, many wondered why the area the artists’ booths were designated to set up in was in the sun, when a lot of nearby area where there were shade trees was under utilized or not used at all. The recent week has been brutal with heat and humidity, as can be normal for the month of August. Mother Nature’s one last hurrah. 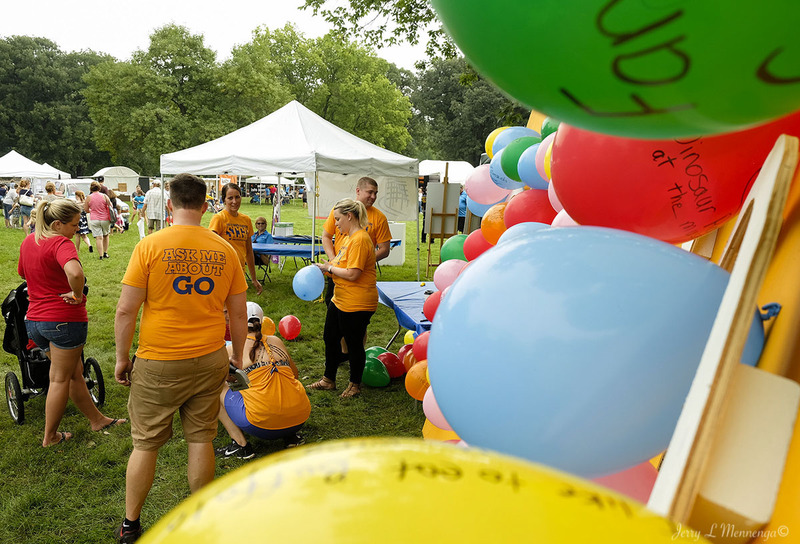 A number of people also wondered why the festival didn’t return to the riverfront now that the flood is two years in remission and normalcy has returned to the area with cleanup done and that area restored. Also, a shuttle bus was set up to run to the park from a downtown events center, alleviating any concern about parking near the festival. But the parking lot was three quarters full of a car dealerlship’s vehicles as an extension of its local showroom, not leaving much room for shuttle users to park. It’s said that planning is everything, but sometimes it just leaves one wondering.